Hands up: How many people enjoy moving (moving companies excluded)? Thought so. Yet, we all want to safeguard our belongings from bangs, scrapes and scuffs during the move. However, changes in relative humidity (RH) can have a more profound impact on moving day than any other mishap. Wood’s moisture content is permanently interactive with the surrounding environment. As the RH changes, wood absorbs (when RH is high) and releases (when RH is low) moisture, even in furniture. Wood processors apply wood moisture meter measurement throughout the lumber production phases. Furniture makers (hopefully) use wood at its equilibrium moisture content (EMC). Wood loses or gains moisture until the amount it contains is in balance with that in the surrounding atmosphere. The amount of moisture at this point of balance is its EMC. And this is all before you even acquire the wood piece. But as careful as the production process may have been, each new environment creates another moisture content balance concern. Storage lockers may be secure, but they need to be climate-controlled in order to preserve the integrity of the wooden items stored in them. 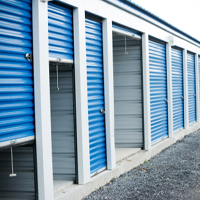 If not, as an example, your stored furniture’s moisture content can fluctuate according to the RH in the storage locker. If the wood gets too dry in storage, cracks or checked finishes, gaps and loose components may result. If the wood gets too moist, cupped or curved panels, sticky drawers and warpage may result. In transit, furniture is moved from one moisture environmental condition to another. For example, you may move belongings from a storage locker with a 70% RH to a new office with 50% RH, a nominal drop of 20% RH. Wooden furniture can lose moisture in these conditions or shrink to maintain its balance with the new environment. Within days, you may notice that the furniture has a cracked or checked finish or that cracks (known as end checks) appear in the wood. In this case, the wooden furniture is reacting to the significant reduction in RH during the move and acclimating to its new environment. Regional migration just magnifies the issue. People moving from the high moisture environment of Seattle to the desert dry of Arizona place their furniture on the long haul truck towards permanent RH change. On such a trek, let’s not forget that the transport may move furniture through different continental climate zones. Passing through will not typically cause significant problems, but if your wooden valuables will be placed in incremental storage as part of a long move, it would be wise to understand how the local climate can affect your belongings. Simply stated, large fluctuations in RH produce problems in wood. So how do you limit the damage that RH swings can cause? A thermo-hygrometer is an instrument used for measuring the moisture content of the environment. The Wagner Meters TH-200 Thermo-Hygrometer displays temperature and RH measurements and calculates dewpoint, wet bulb, heat index and wet bulb globe temperatures for a quick check of localized environmental conditions. Consumers can use the TH-200 to monitor environmental changes, so moving is not a danger to the wood product’s health. First, prospective storage clients can pull the pen-style TH-200 out of a pocket to spot-check the RH conditions in the storage locker. Is it stable? Prior to moving day, savvy thermo-hygrometer users can set aside one or two stable RH rooms for storing wood furniture upon arrival. That way, RH fluctuations can be stabilized on either end of transport. Post-move, the Wagner TH-200 allows users to conveniently conduct spot-checks long after the new home has become the new nest. An environmental moisture content instrument such as the TH-200 Thermo-Hygrometer can inform users on how they can manage their wood products’ moisture content by monitoring and then controlling (if necessary) the environmental conditions in their homes or offices. Consider this instrument a low-cost insurance policy on guaranteeing your wood furniture’s longevity. Troy Edwards is Technical Service Supervisor for Wagner Meters, Inc., where he oversees manufacturing, quality control and IT service for their electronic measurement products for the building and construction industry. Troy holds an AAS in Electronics Technology and has over 20 years’ experience in various electronic manufacturing and production positions. Interesting reading. My son-in-law is having his home remodeled. Where an over head fake ceiling beam was being installed, the carpenter over looking moisture content, and not allowing the 12 ” x 13′ pine board being used to adjust the the dry humidity of the house, installed the board. he board shrank enough to change the width of the board, making a noticeable gap from one end to the other! True, most of his visitors will not notice it, but I am sure the carpenter will long remember his error in not taking into consideration the moisture content of the lumber.